Wind and rain on Monday…. then glorious sunshine, which aided a good attendance from Network Rail Personnel on Tuesday and Wednesday. No doubt the top class food from the catering tent also helped. Aquarius’ new Rail Plant Trailer attracted a lot of interest. The Rail Plant Trailer provides a new, cost effective solution to rail maintenance. 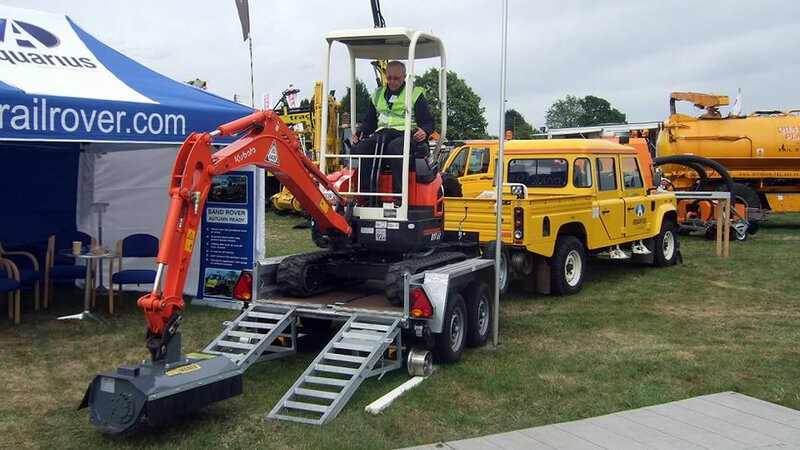 The trailer, pulled by our Land Rover RRV enables the easy transportation of diggers or cranes directly to site, without other haulage costs. Additionally once the delivery of equipment is complete, the Land Truck RRV can be utilised elsewhere.